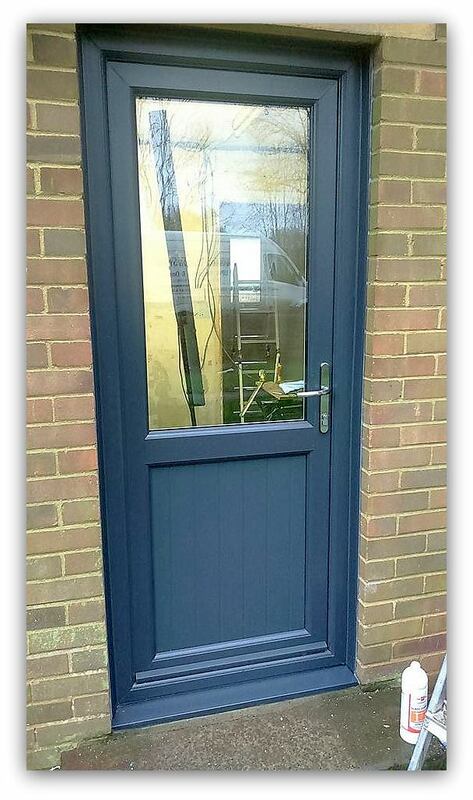 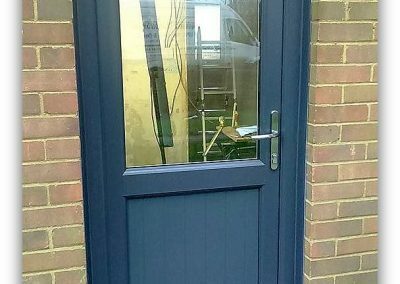 … and so chose this composite door in ‘Grey’ to make the front door stand out, together with the leaded glass work. 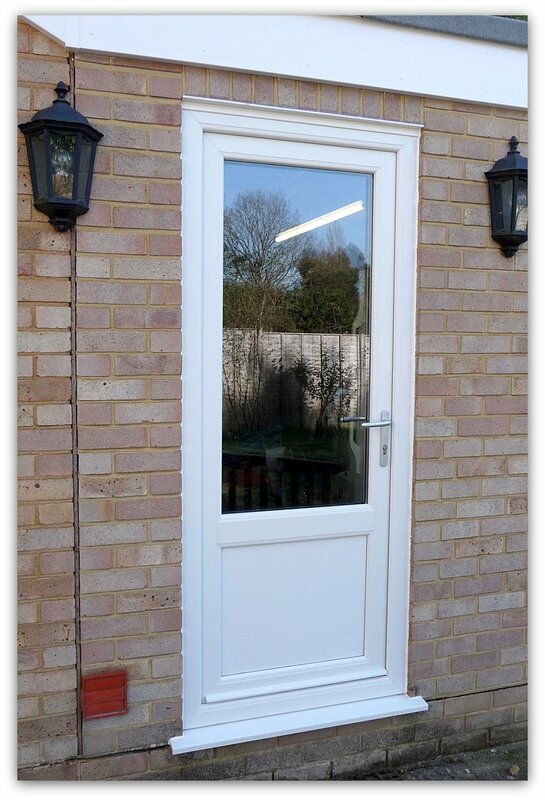 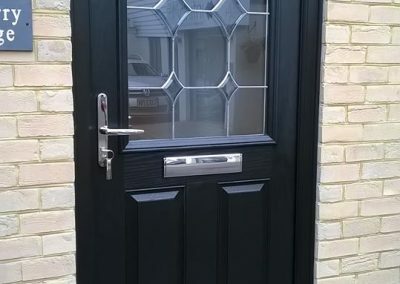 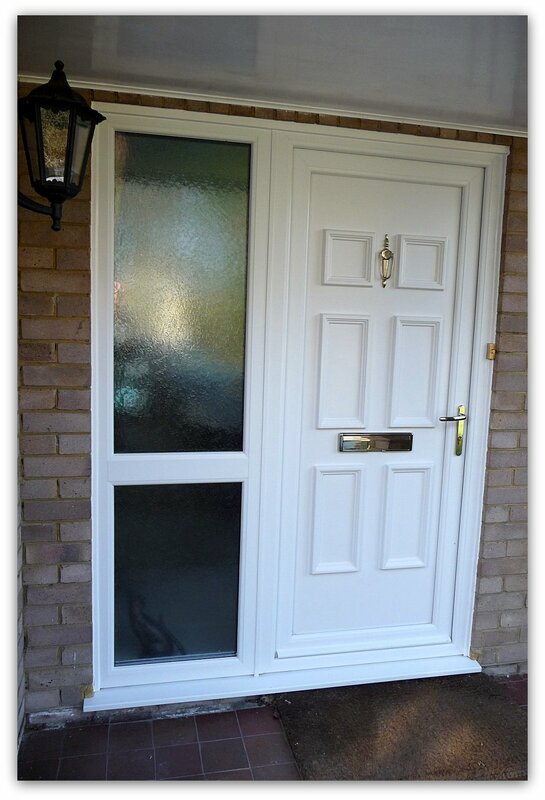 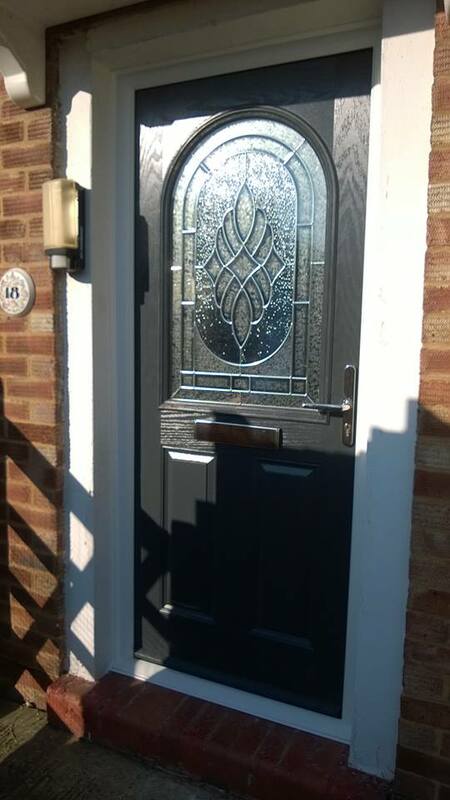 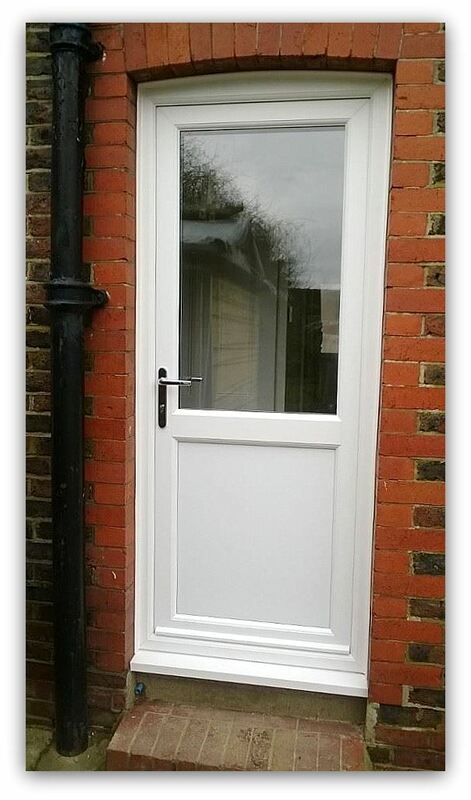 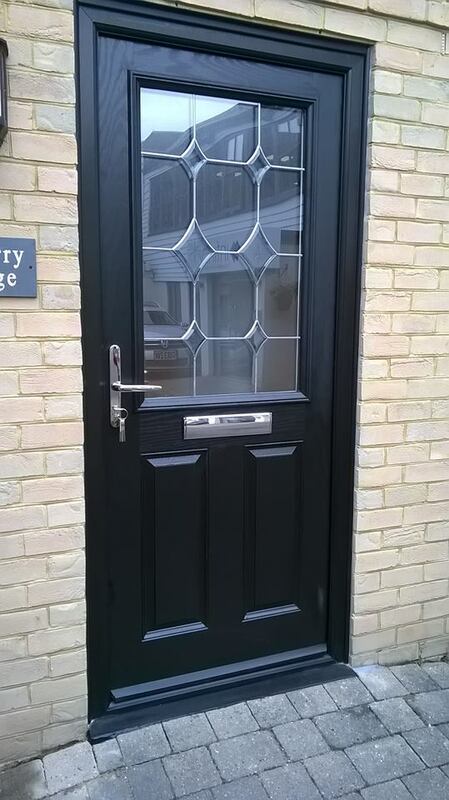 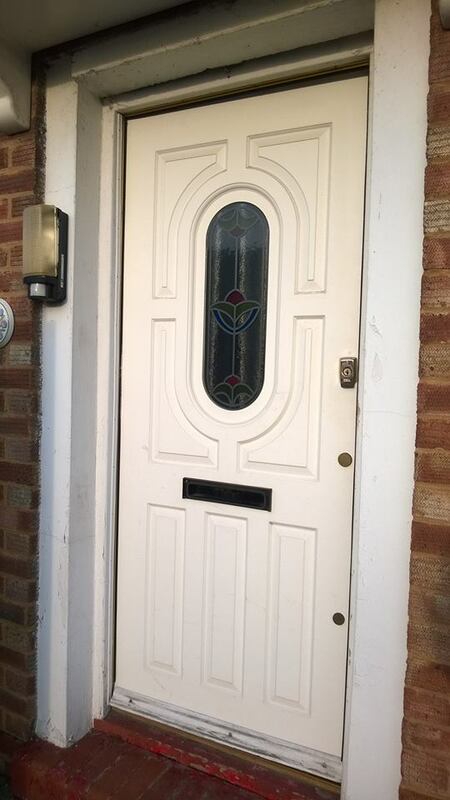 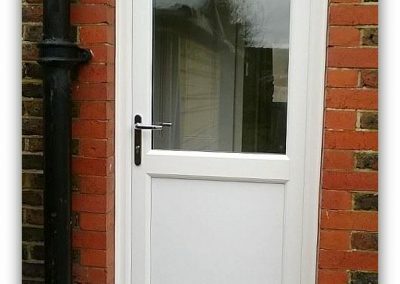 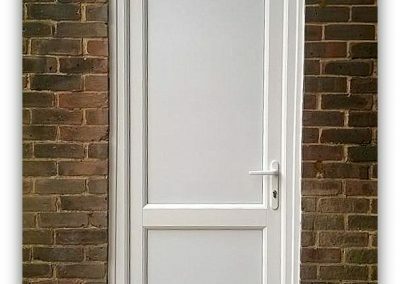 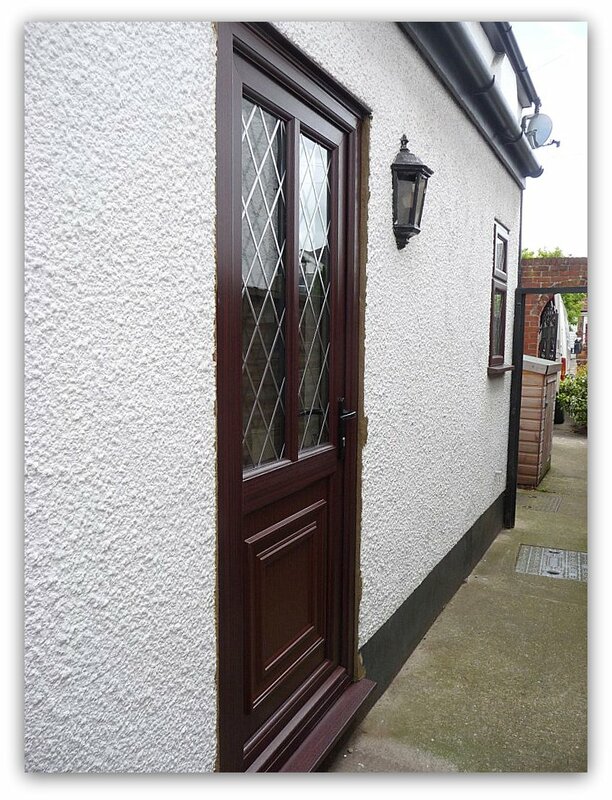 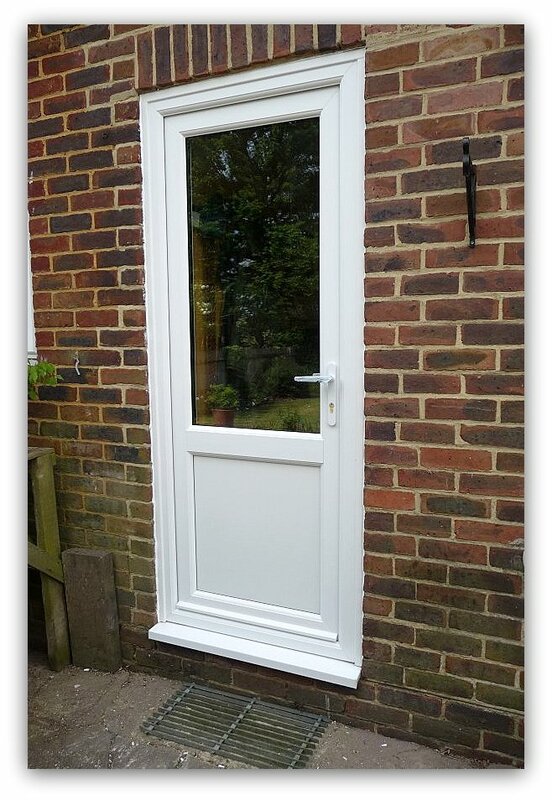 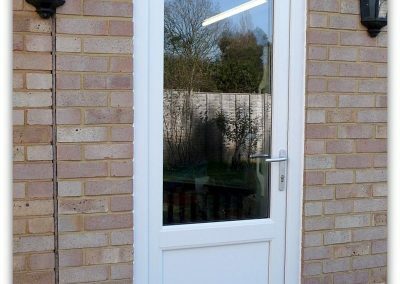 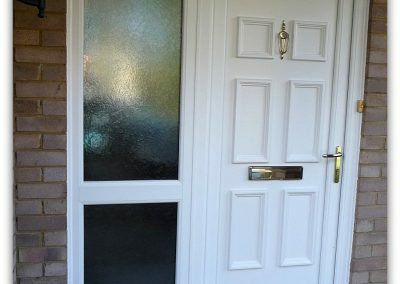 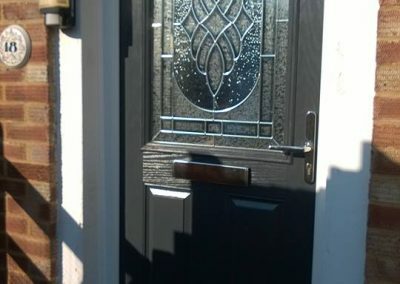 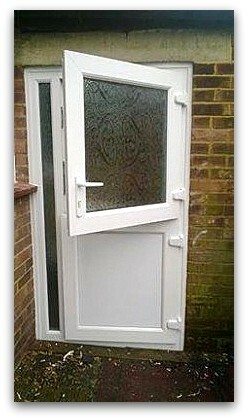 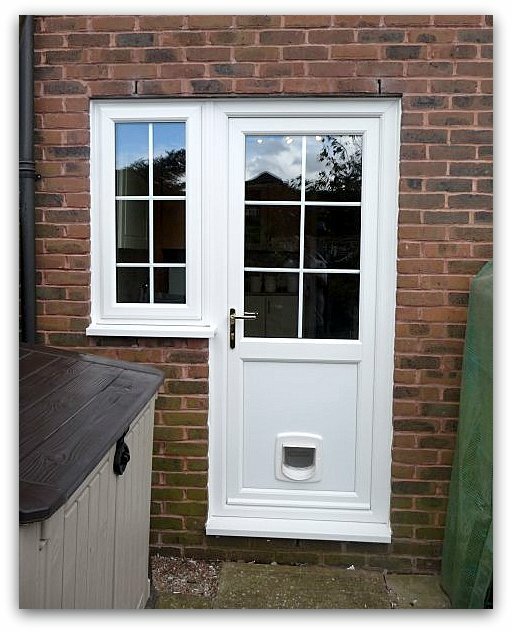 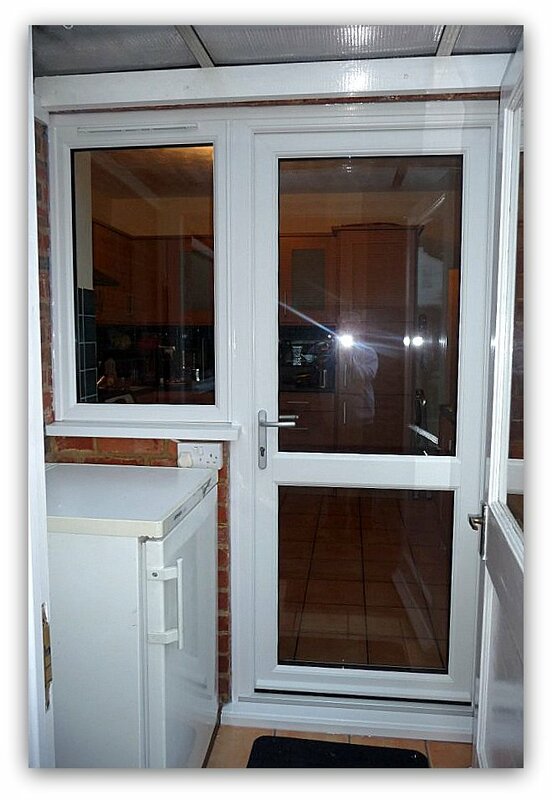 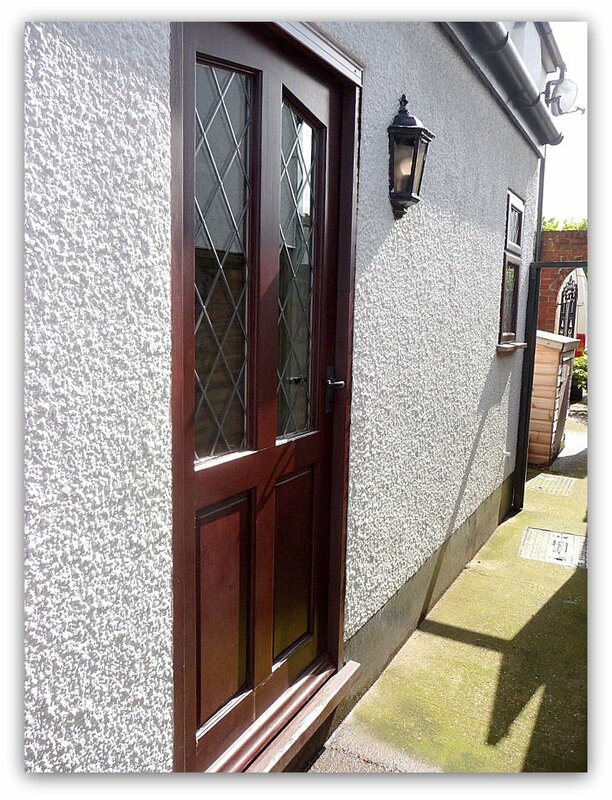 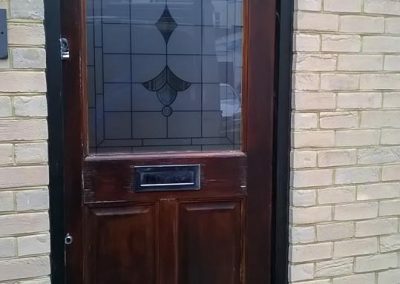 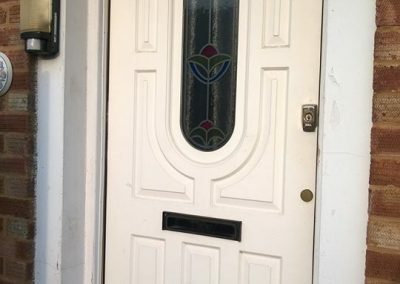 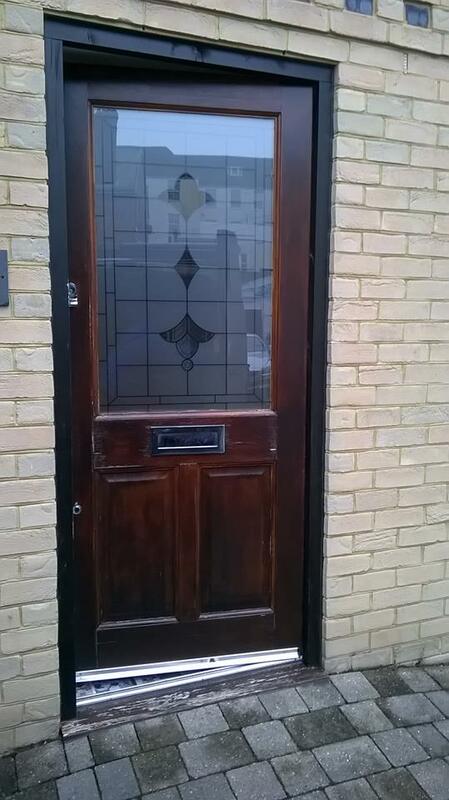 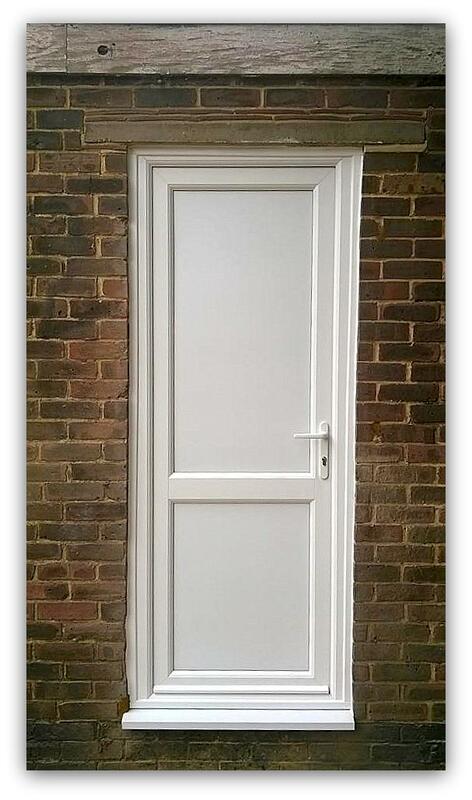 … this new composite door with a lead drop diamond pattern glass design. 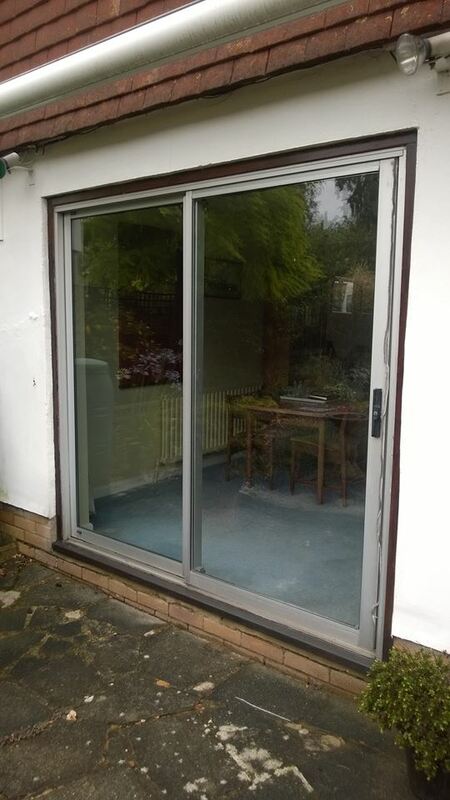 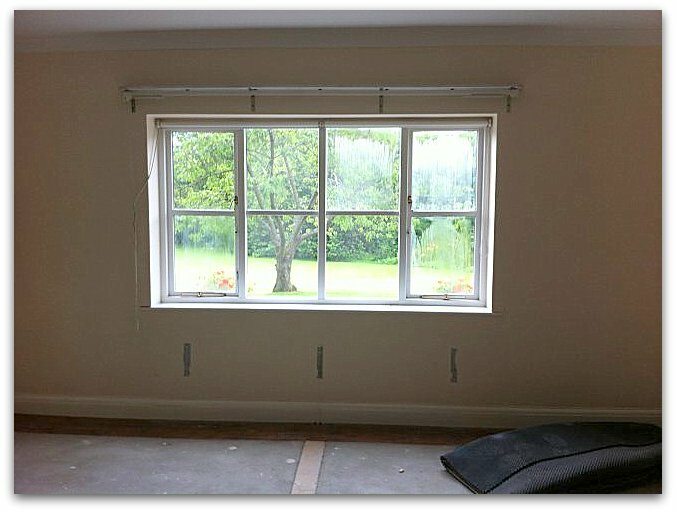 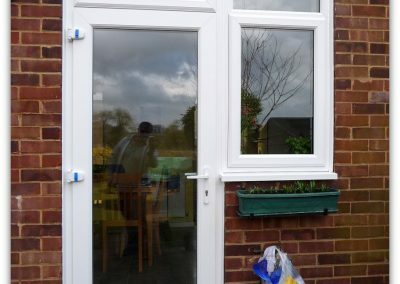 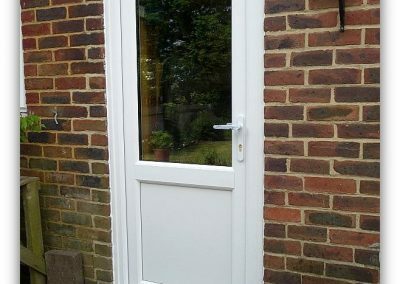 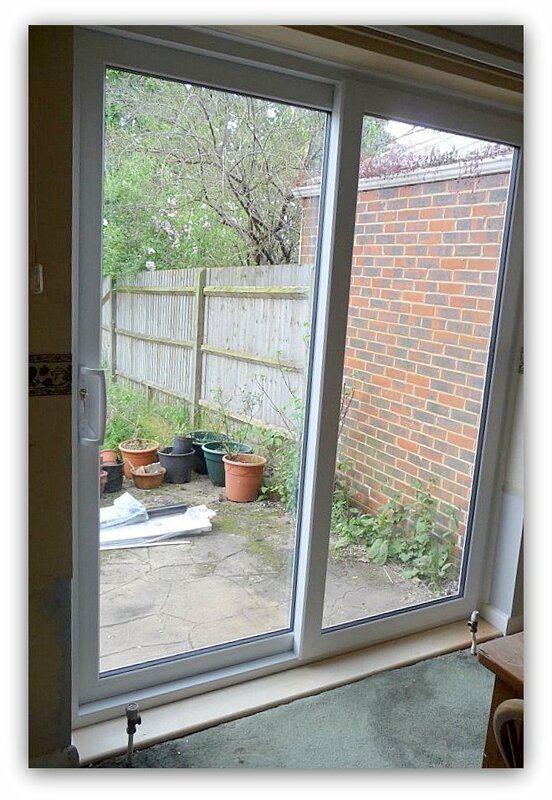 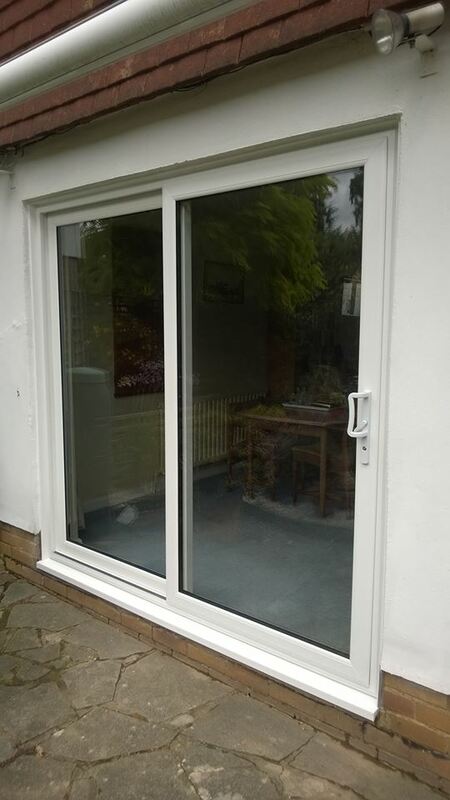 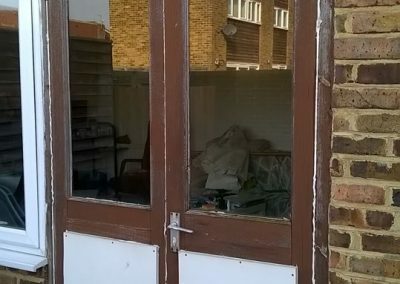 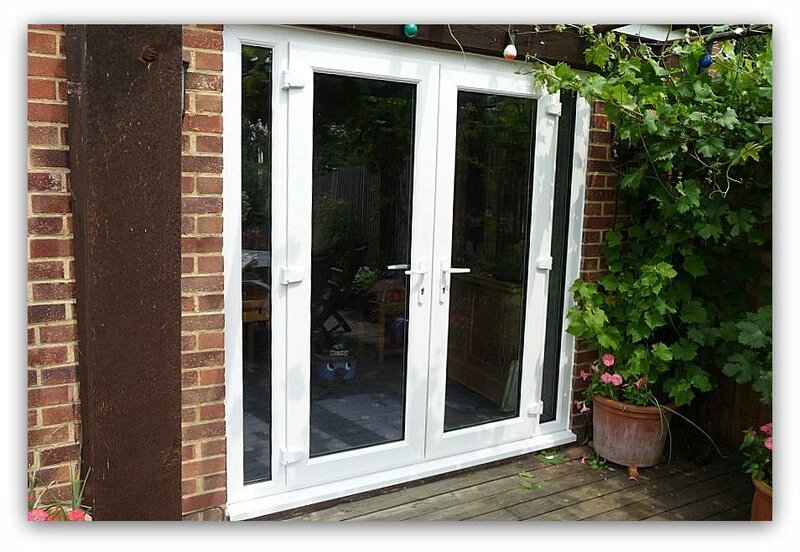 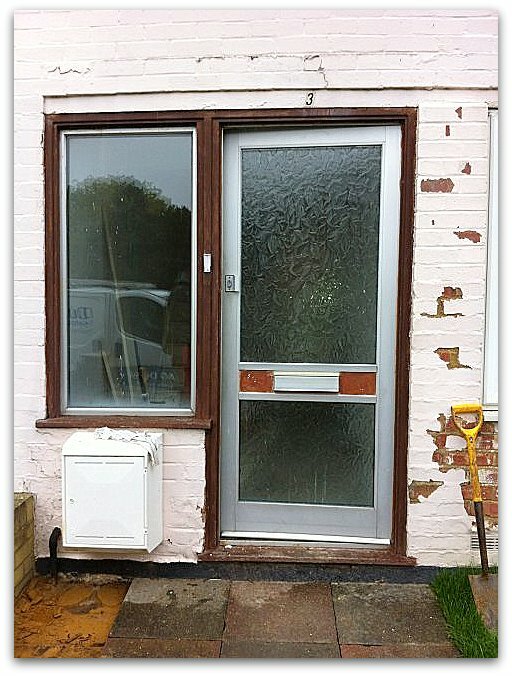 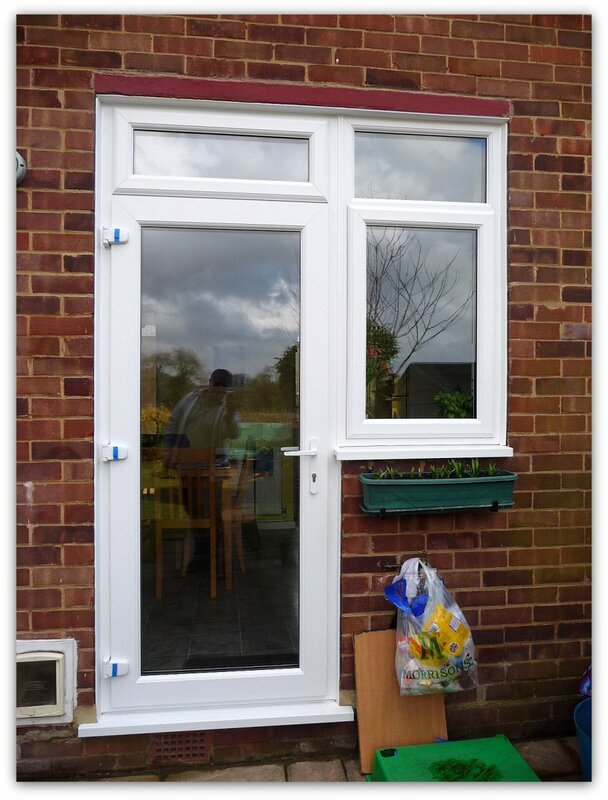 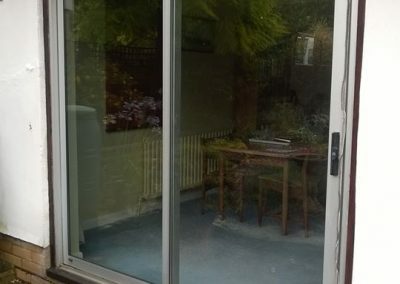 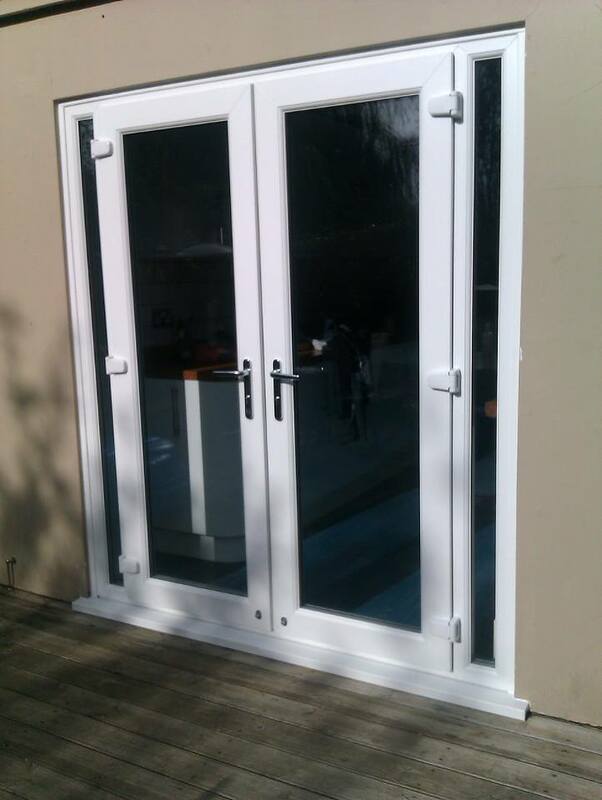 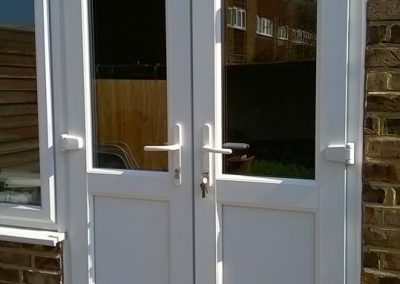 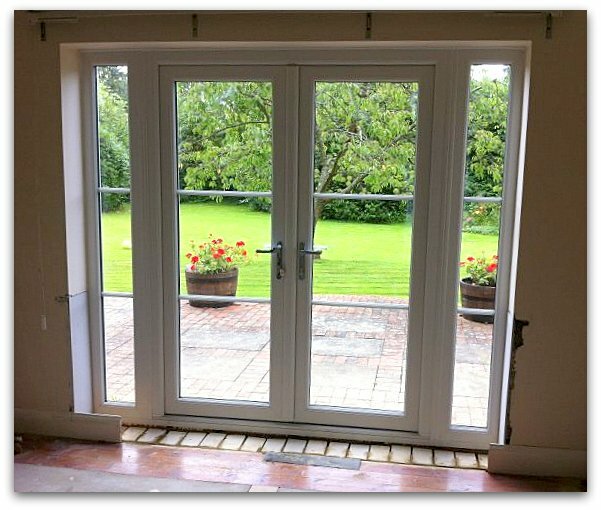 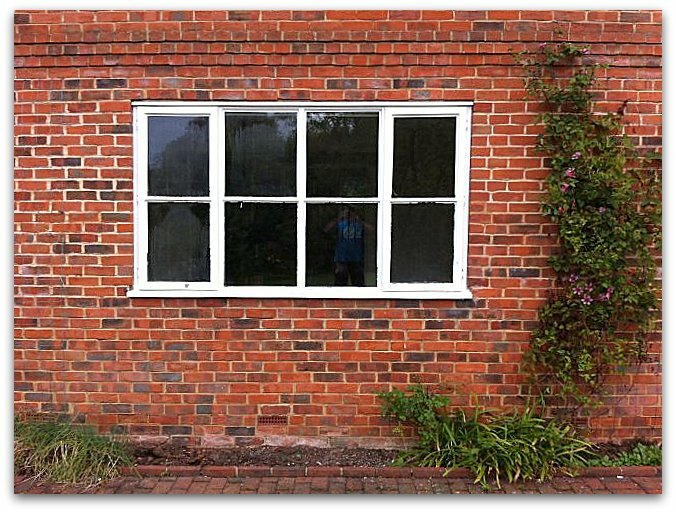 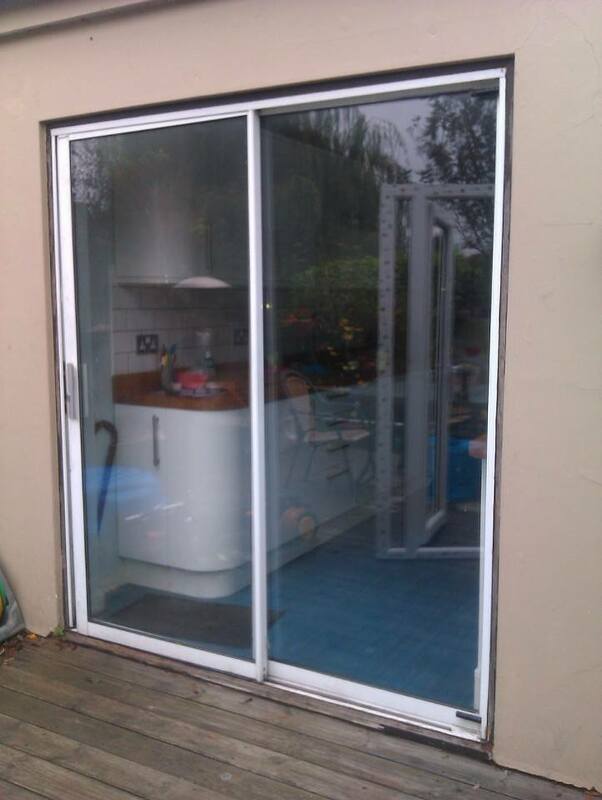 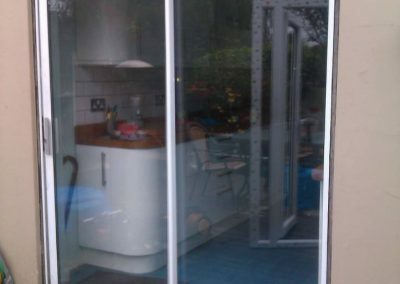 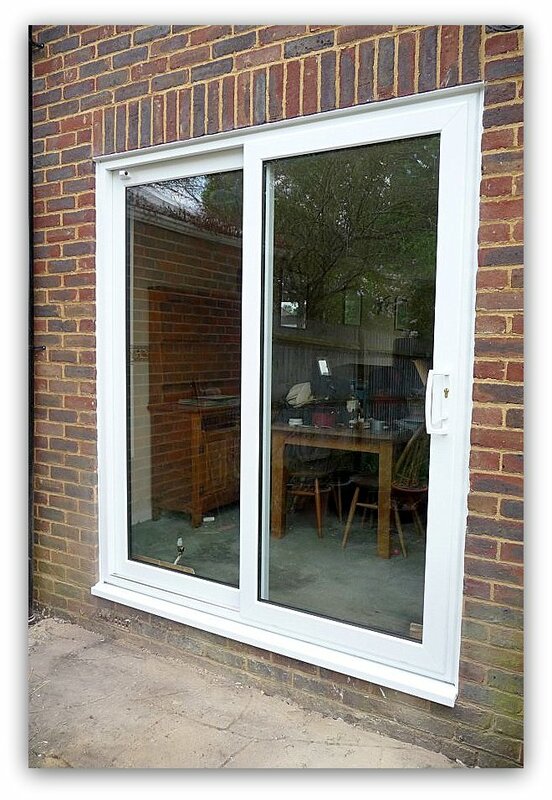 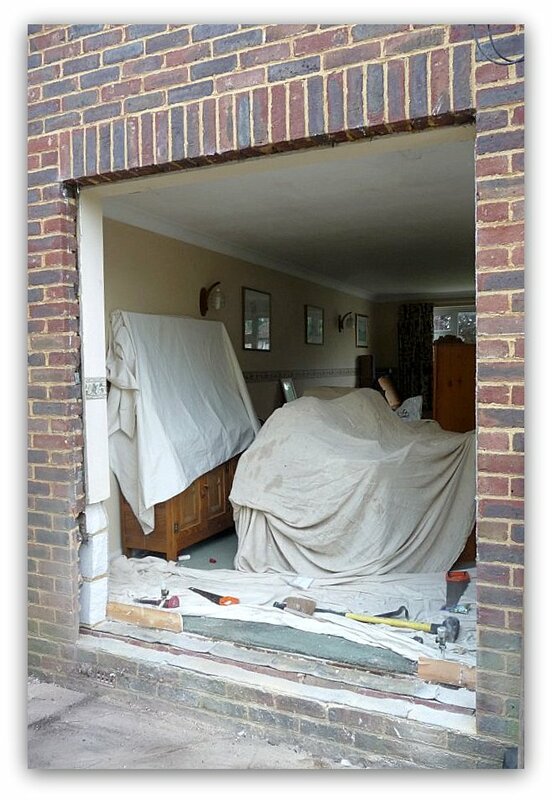 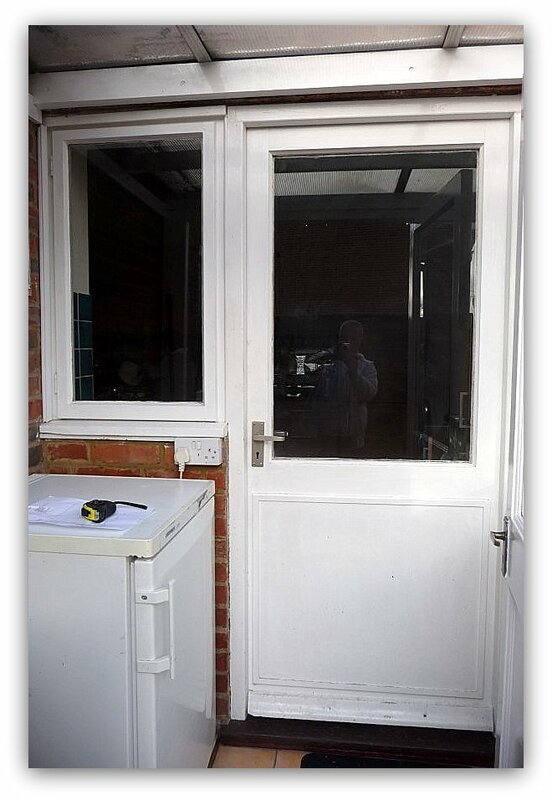 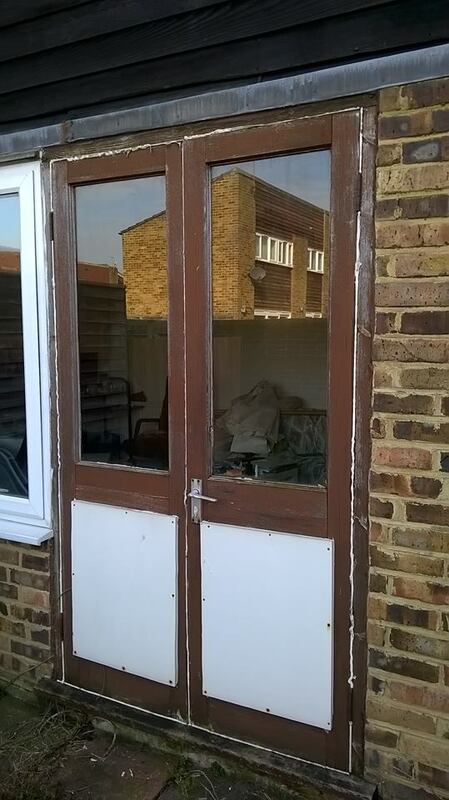 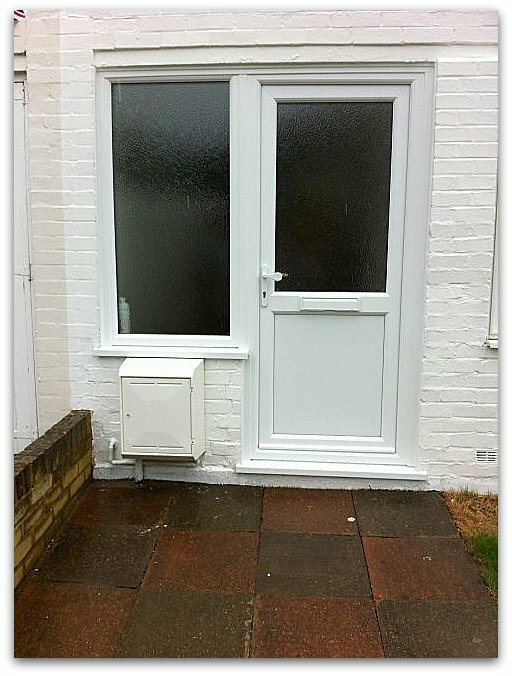 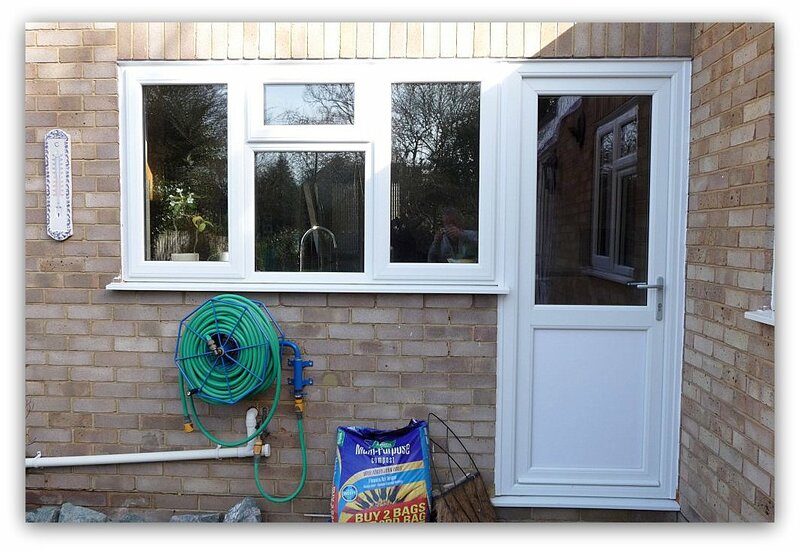 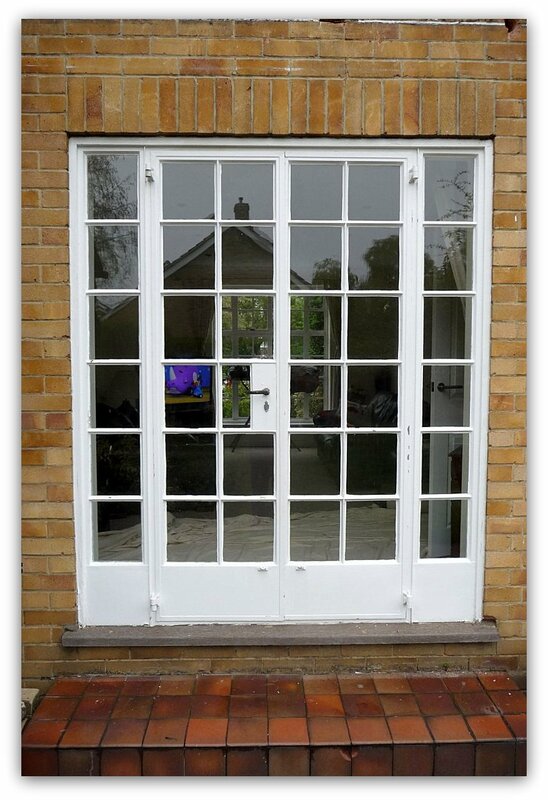 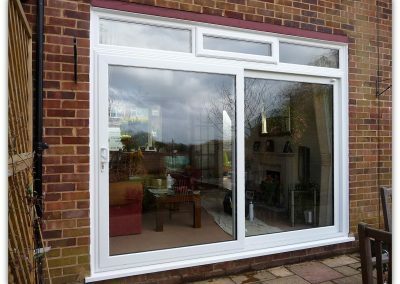 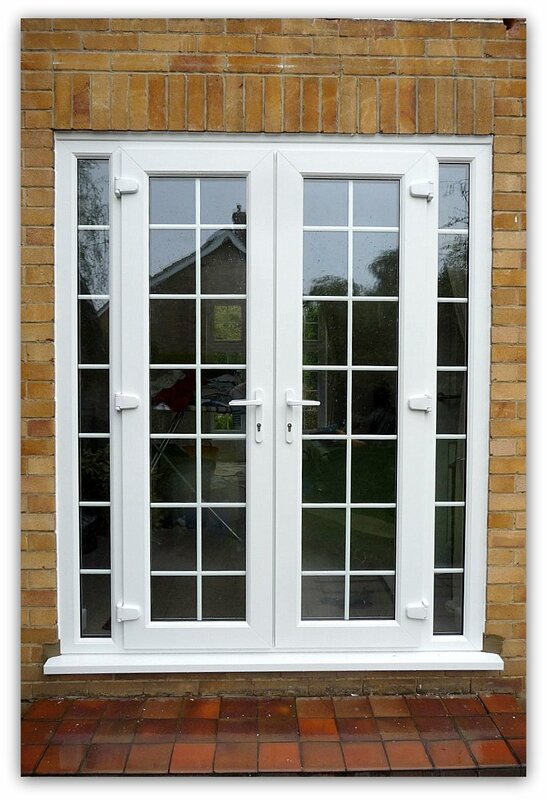 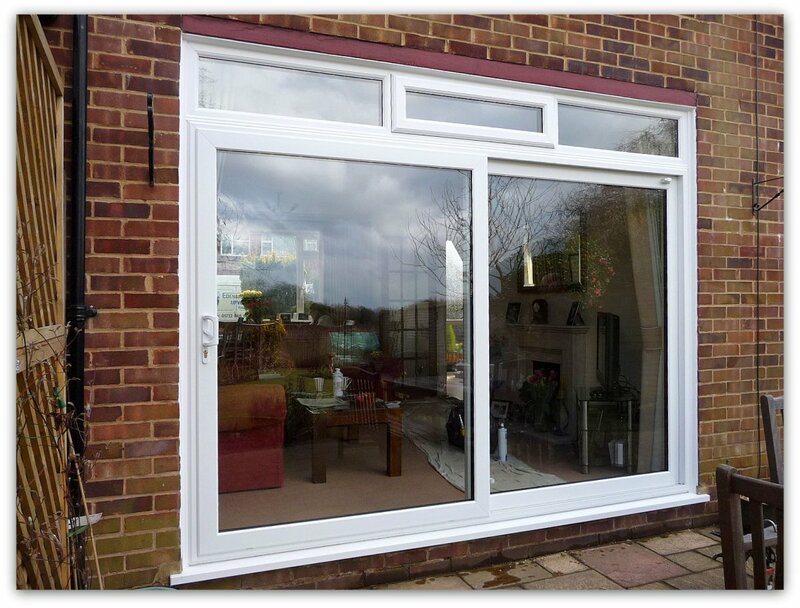 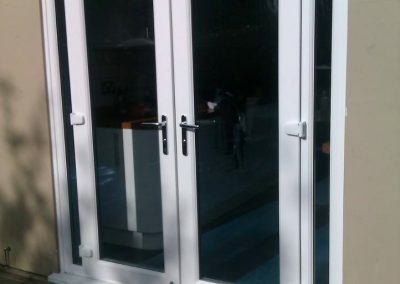 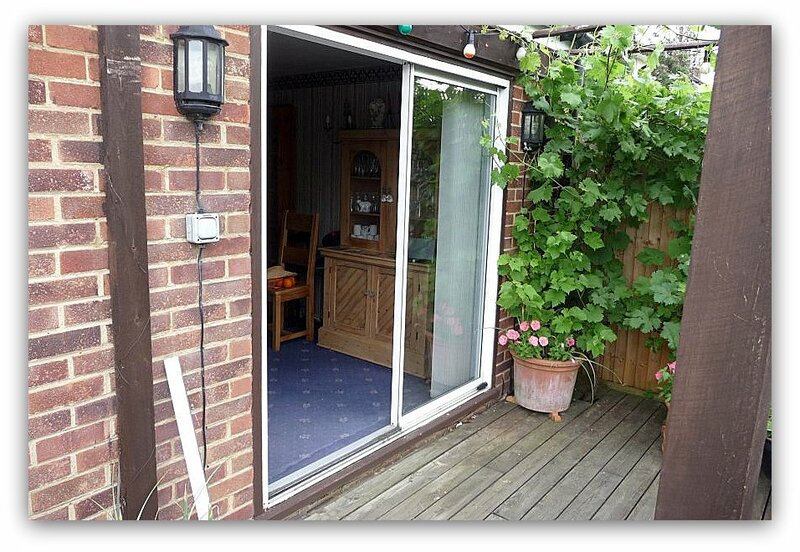 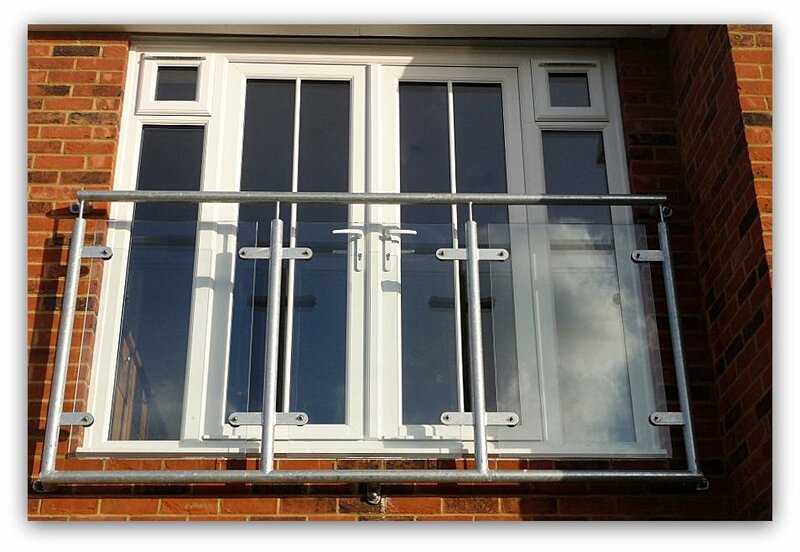 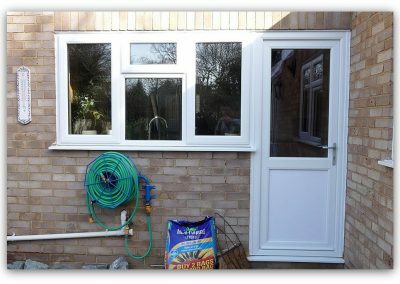 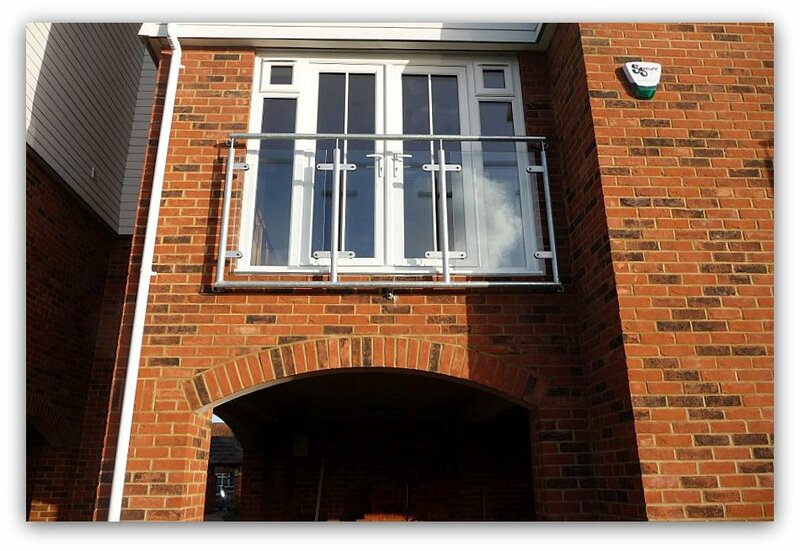 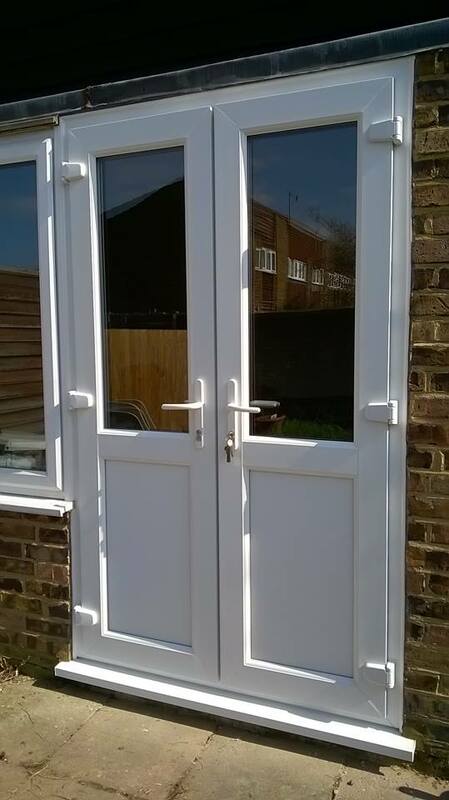 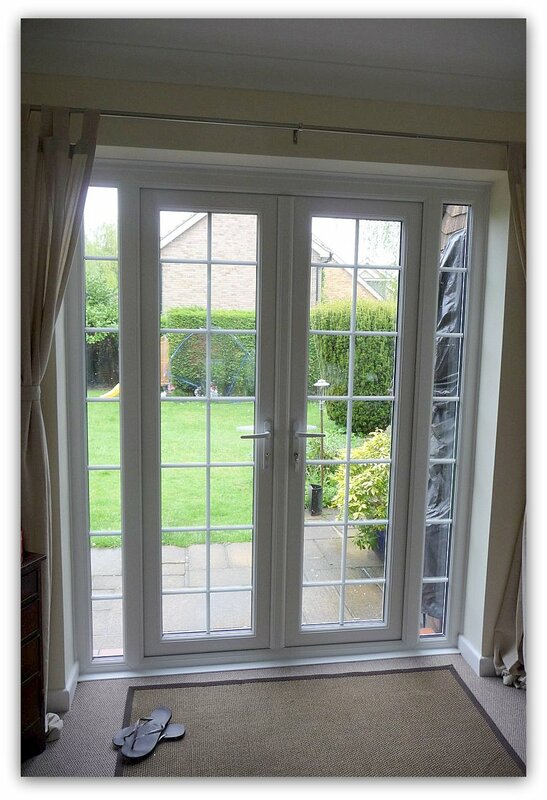 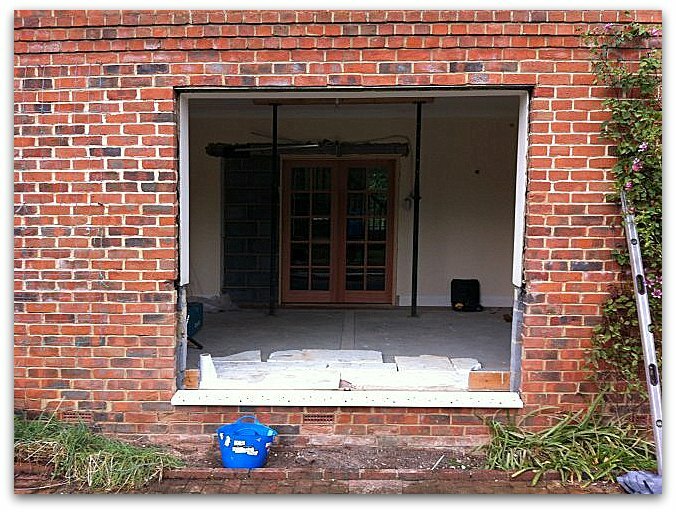 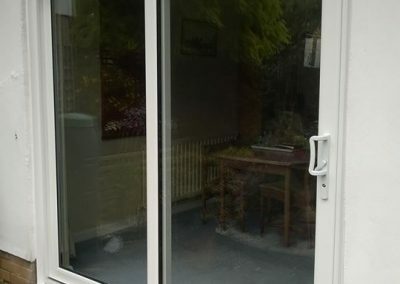 The old aluminium patio doors on the left were replaced by new U-Pvc patio doors to update the look of the house. 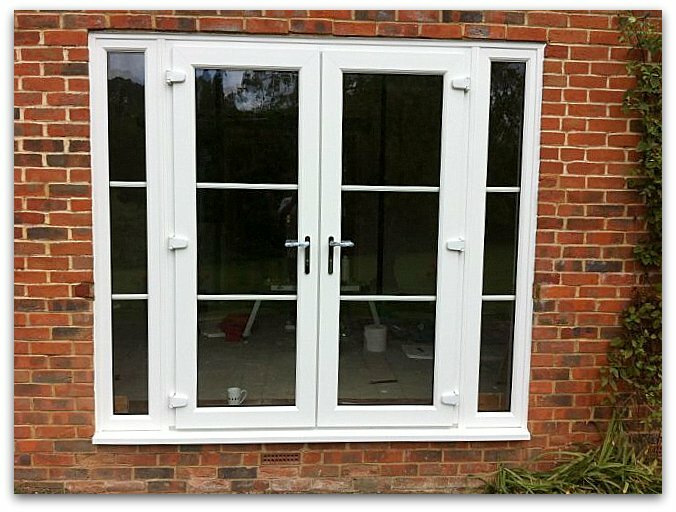 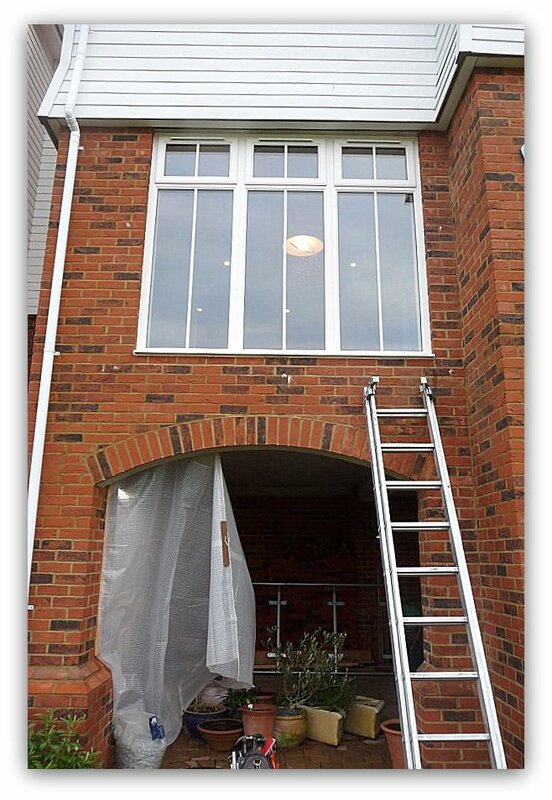 The white frame gives a better look and ties in with the existing windows. 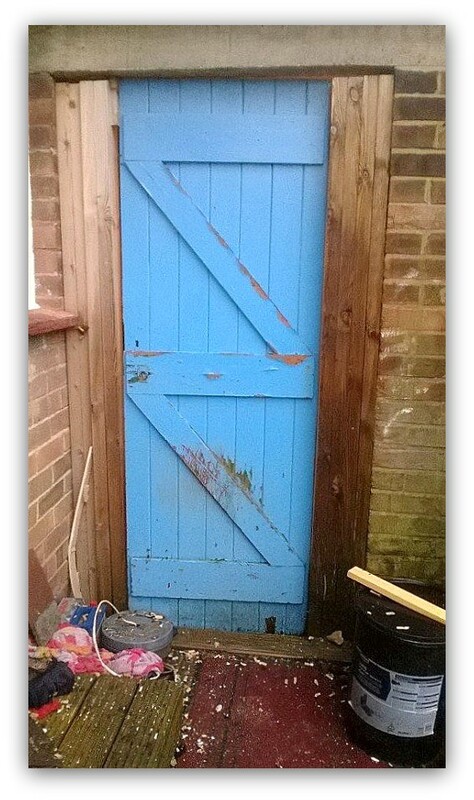 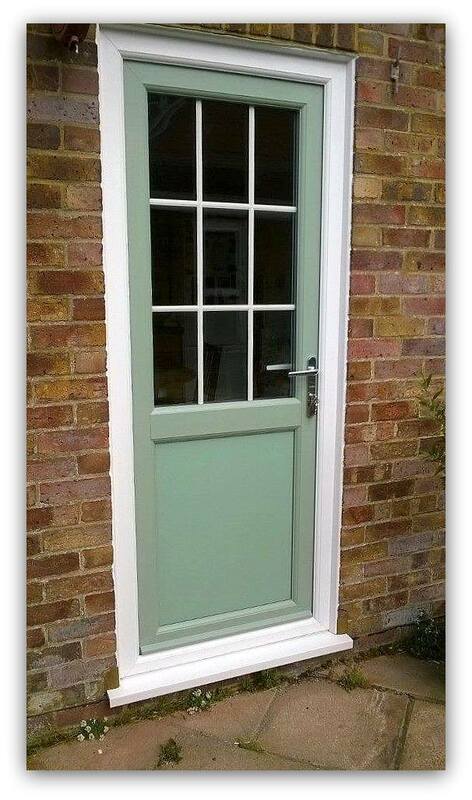 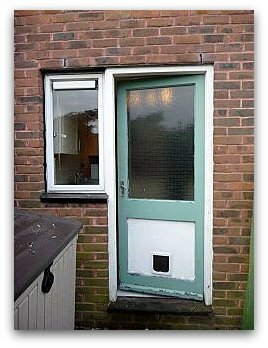 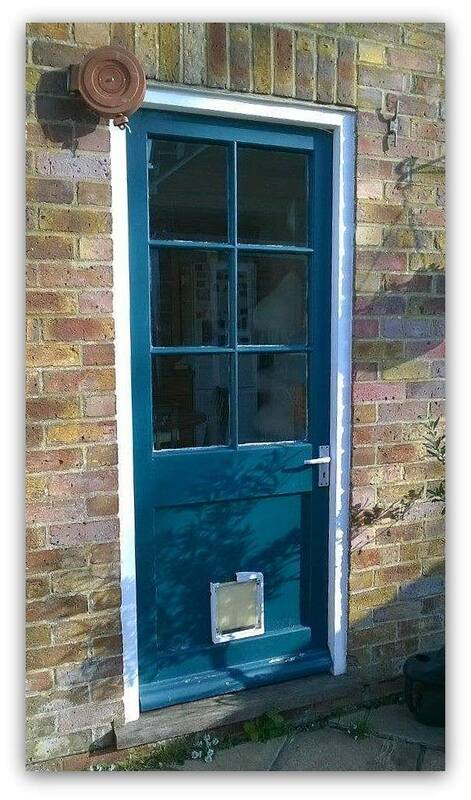 It not just composite doors that come in Chartwell Green.